A recent survey by the RSPCA found that rabbits are the most abused pets in the UK, with more than 35,000 abandoned every year. The Royal Society for the Prevention of Cruelty to Animals (RSCPA) uncovered an alarming trend of abuse and neglect among pet owner sin the United Kingdom. The animal charity said a survey found that 70% of rescued rabbits had been kept hutched 24 hours a day and 40% of them had had no food, with 50% being kept in "filthy conditions". 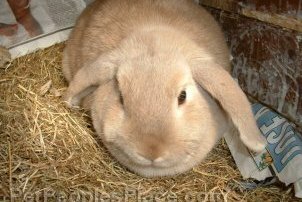 The report cited that rabbits were frequently the subject of neglect because owners frequently lost interest. On average, owners of abandoned rabbits had given up after just 3 months, with many being simply "released" on the street or in woodlands. The UK’s Rabbit Welfare Association warned that parents need to take more responsibility. It is still common for rabbits to be considered a "good pet for children", with parents often being unaware that rabbits can easily live for 8 years and cost several thousand dollars in their lifetime when housing, feeding and veterinary care are considered.